With a file management program ( Astro File Manager ) to find the movie that size over 4GB and select Mobo player to play them, the movies viewing experience is perfect. Below is my own experience to play a 720p 4.1G movie on my Xoom. Other tablets also the same. 1. Download and install Astro File Manager on xoom from android market. 2. Open the “astro” folder. Click “File manager”. Astro FM will default to the directories on the internal memory (which is called the SDcard on the Xoom). You can click “up” to other directories. Choose the movie you want to play. 3. There will be a message to allows you to choose media player. Here i use mobo player, because it will play most video programs that other players might not play. 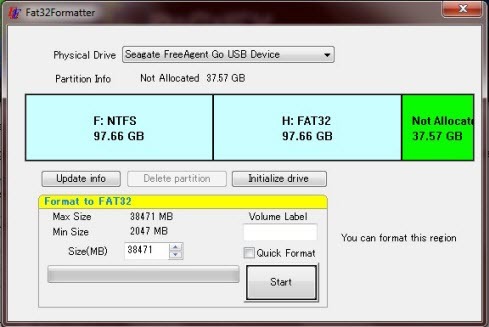 Split a large video file into several small files under 4GB when you ripping and converting Blu-ray or DVDs. Many Blu-ray or DVD Ripper has the “Split” function to help you cutting a video file into several segments. Here i just take Pavtube’s Blu-ray Video Converter Ultimate to show you how to make it. After you importing the Blu-ray or DVD movie you want to convert into the program, you will get a list like this. Check the file that you want to split, then choose the option “Split selected task”. Click Ok and back to the main interface. With the conversion processed, the video file will be cut automatically. Finally, you wil get multiple video files. As far as i know, Split feature is also applied to almost all programs developed by Pavtube Studio. You can also choose other ones you need to make it. Different people have different demands, select the most suitable solution to realize playing over 4GB video file on your android tablet. Hope this article is clear and helpful. If you have other solutions, please share it with us in forms of comments.